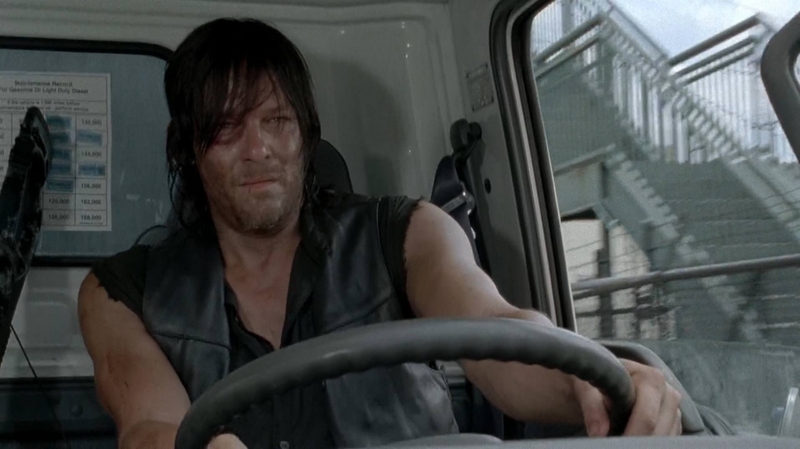 That’s the question that ran through my head after watching the mid-season finale, “Coda.” Beth’s anger at being out-maneuvered by Dawn and being forced to give up Noah was understandable, sure, but her decision to stab her with tiny scissors didn’t really seem to make any sense. It was unlikely to kill Dawn to save Noah. The most likely outcome was the one that happened, that Dawn, who had a gun, would shoot Beth and kill her. The Hollywood Reporter was clearly as perplexed as I was, so they asked Emily Kinney if they understood it. 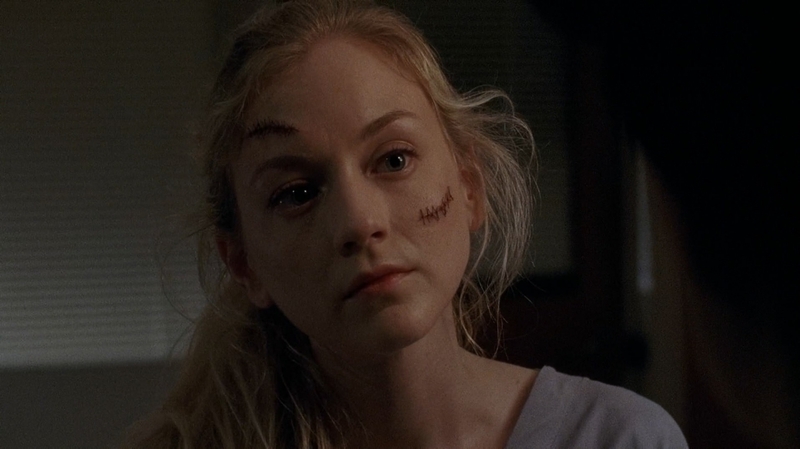 According to Kinney, Beth just let her confidence get the better of her. “I felt like it was a last-minute. The scissors were if she needed them. I felt like she was overconfident, she got what she wanted [to reunite with her group] and she wanted more. It’s like she’d gotten stronger and tougher and was back with her group and, oh one more thing: I want to get Dawn. And it was a mistake. It was this little moment of overconfidence,” Kinney said. And this was the result. “Sometimes there isn’t rhyme or reason [to things]; why does that person die and not that person?” Kinney said. Kinney also took a crack at trying to explain Beth’s last words to Dawn, “I get it now,” in a conversation with The Daily Beast. “I think that Beth was saying, ‘I get it now,’ like you don’t really know… You know, Dawn’s whole thing is that sometimes you have to do bad things in order to survive. Like, ‘I’m doing a good thing by doing these controlling things because I’m actually protecting everyone.’ I think there’s something about Beth where she’s saying, ‘I get it now. Sometimes you don’t realize how horrible a person you can be until you get pushed to the limit. 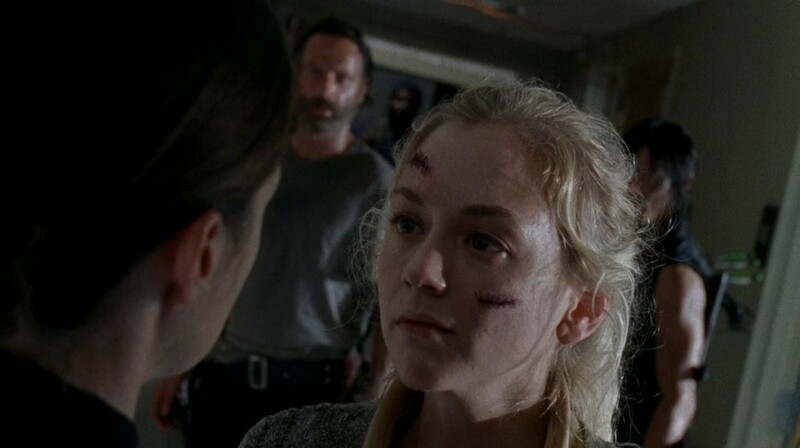 You don’t even realize that you’re capable of killing someone and being such a horrible human being in a certain way, just in order to survive.’ I think that’s part of Beth’s ‘I get it now.’ There is that moment earlier in the episode where she pushes the other officer and I think that does make her feel really bad and start to question the kind of person that she is and what her morals are and who she’s looking out for,” Kinney said. So that’s Kinney’s take on the stabbing. What does the producing and writing team have to say? 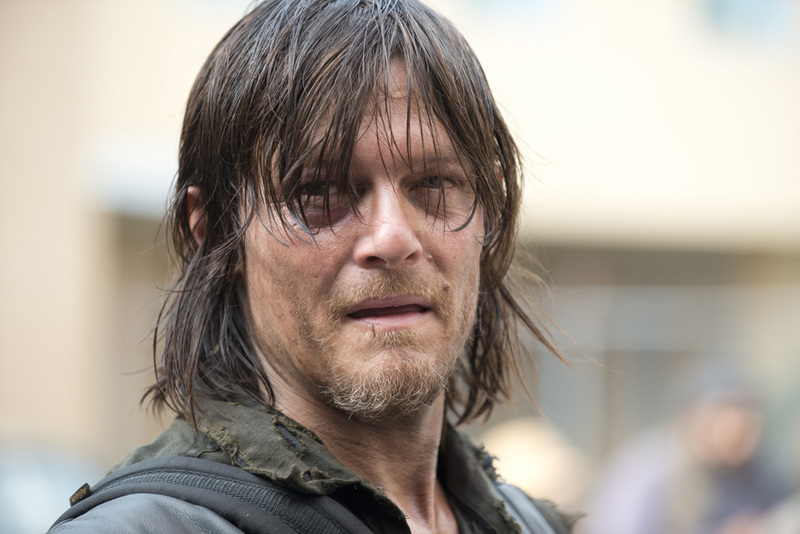 Well, if there’s one guy who would know, it’s Showrunner Scott Gimple. Here’s what he told USA Today.